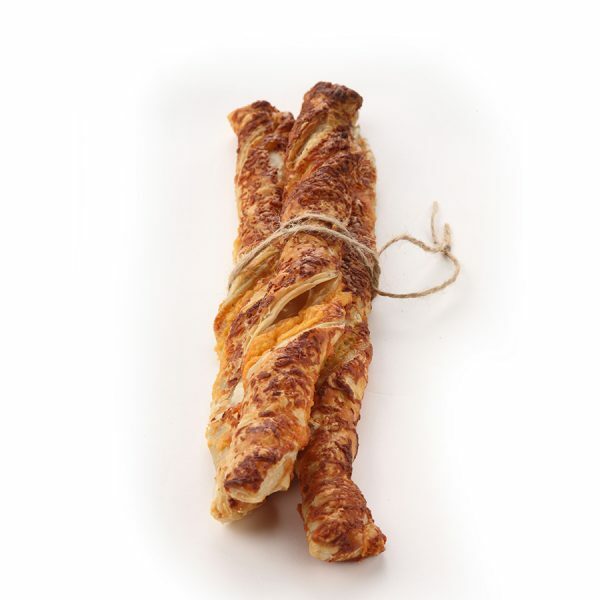 Cheese straws - home cooked food delivered. These light puff pastry twists, impregnated and coated with local mature cheddar and freshly grated parmesan, make for a tremendously satisfying savoury snack. The addition of cayenne pepper adds just a touch of spice and an extra dimension to the flavour. Puff pastry (GLUTEN), cayenne pepper, mature cheddar (MILK), parmesan, dijon mustard (MUSTARD).